KASHTRA, PAKISTAN-DECEMBER 16: Earthquake survivors reside at a large tented camp in Kashtra, December 16, 2005. 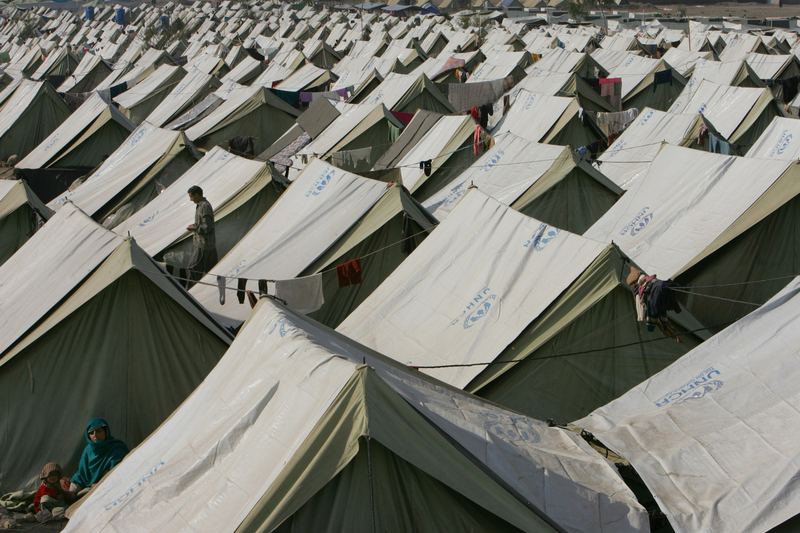 The camp has over 700 tents housing 3,336 earthquake victims who have moved from various area villages for the winter months. Lack of snow is giving the quake survivors a break but they are still struggling in over crowded tented camps while fighting the cold weather with a lack of shelter.